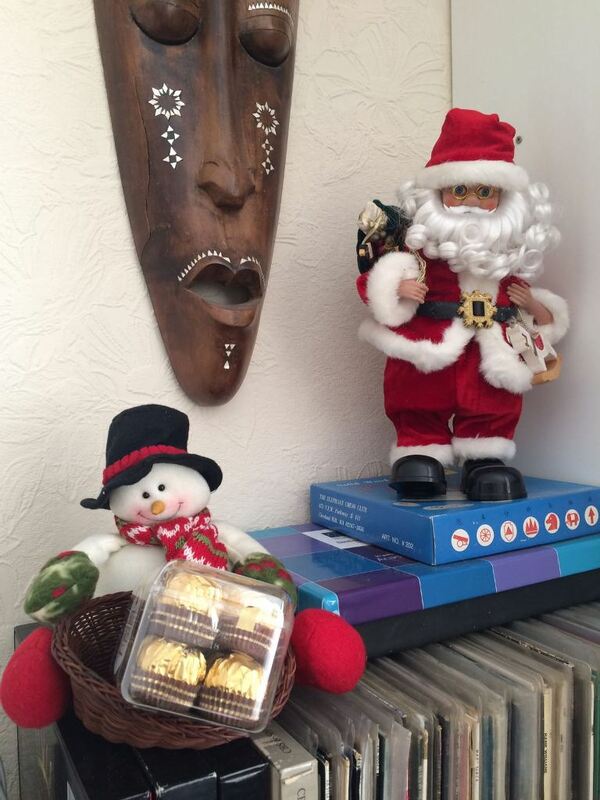 It is still quite festive in my home, especially as I am enjoying an extended holiday. I was bestowed with lots of good things to eat and cherish over the festive holidays. First a work colleagues and someone who I would certainly call a friend, Joel gave these to me. One was a belated Birthday present (from November) and the other a Christmas present. These stunning embroidered wall plaques are made by his very talented Mother. Thank you so much. Both these gifts were unexpected, I will really cherish them. 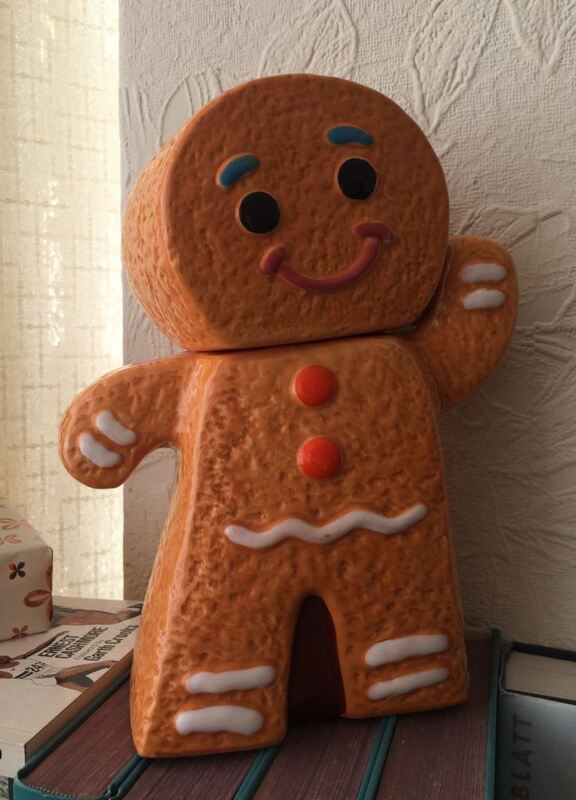 This gingerbread man is actually a ceramic biscuit barrel. I got him a couple of years back, but he has never made it out of the box, until now. Early this week, we put away the Christmas tree in the attic and all the decorations. We have a ridiculous amount of chocolate to eat as this blog post does not include the chocolate that D purchased himself. The snowman above is holding some Ferraro Rochers given to me by one of my nephews who was excited to drive over having only recently passed his driving test. I will not be kidding when I say that we will be eating them till March, as he also gave us a box of Thorntons (not shown) and Guylians as well (see below). 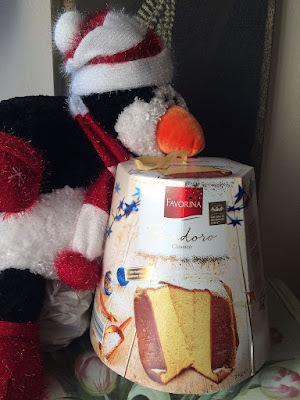 Our neighbours, the ones who are renting gave us this very large Pandoro Cake as a Thank you for being lovely neighbours and for sharing some garden fruit and vegetables. It came as a lovely surprise as it was quite unexpected. Yes I am a good neighbour too, they got homemade plum jam and a chutney from us too, also as a Thank you for being good neighbours. I will be sad to see them leave as the owners are due to be returning back from their long stint in Europe sometime in March. 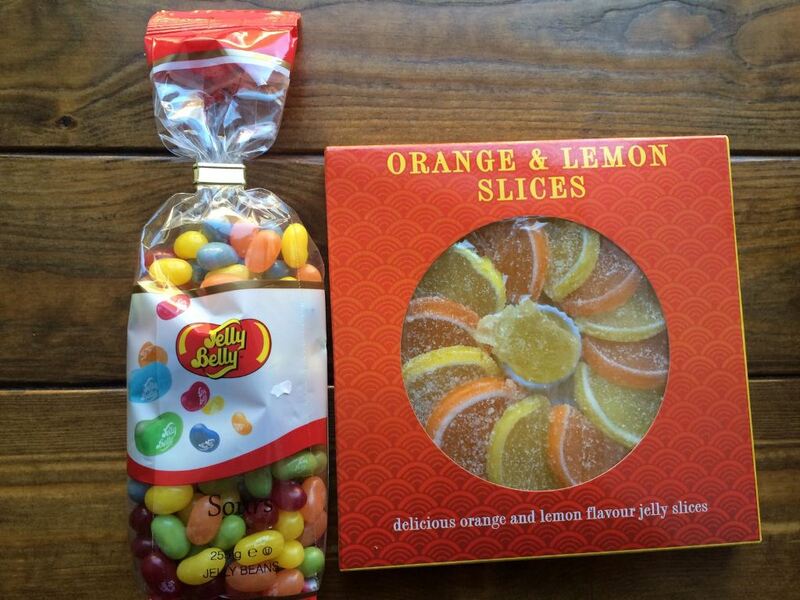 I got D some Sour Jelly Belly Beans. This was more in memory of his late father who loved them. We would always get him a stash for Christmas, but sadly he is no longer with us and we want to keep his memory alive. 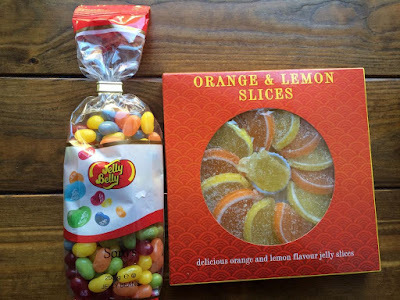 D's mother gave me these orange and lemon slices to decorate a cake, she said she has won it in a raffle and would not use it. She does make me smile. She also gave me a vegetarian cookbook that she picked up from a charity shop. 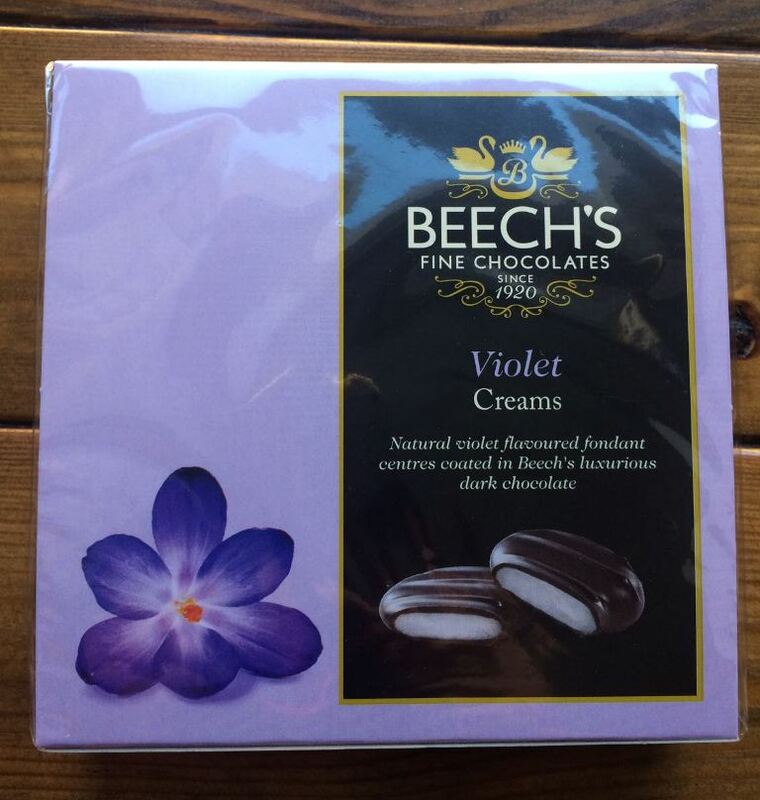 I also got these Violet Creams. I do like Violet flavoured things, that is when the curly girly comes out in me. I don't normally accept gifts from clients at work, but one of my participants wanted to say Thank you for the support I had given her over the past few months. It was really nice to be appreciated. D is very happy with our chocolate haul. 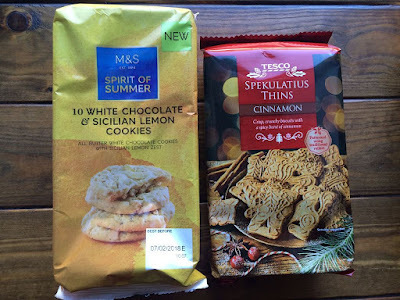 We have lots of biscuits still, I also ended up getting D these white chocolate and lemon cookies. He has a thing for white chocolate and lemons. I am not a sweet person, I love savoury things. 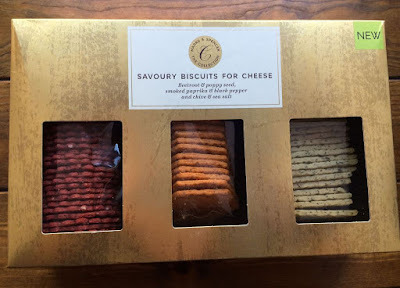 I picked up these savoury biscuits for cheese: beetroot and poppy seed, smoked paprika and black pepper and Chive and Sea-salt. Will it be a surprise to you, if I say these are not yet opened either. 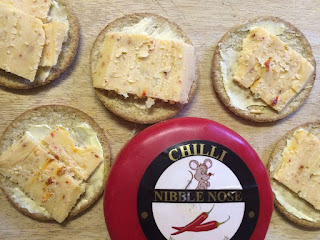 On my last full day at work, I had on impulse picked up 6 cheeses including this Chilli Cheddar, thinking we would eat them snuggled on a sofa in front of the TV, but unlike myself who is on holiday - D only had three days off Christmas Day, Boxing Day and New Years Day. Good job the cheese have a good use by date, as we will def. be eating them in February unless I come up with some cheese based recipes. 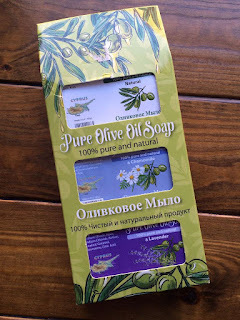 Finally, D's Aunt gave me some Olive Oil Soap from a place in Cyprus that we visited. 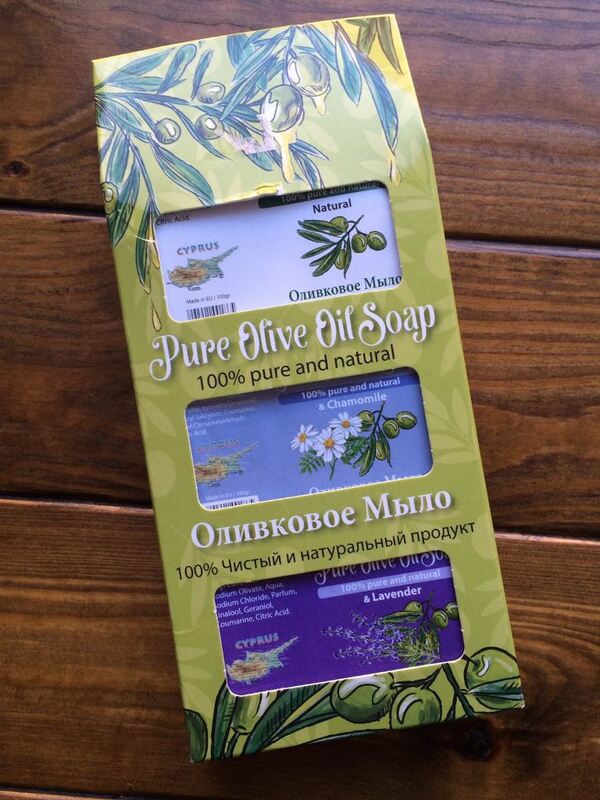 It was a nice gesture and brought back memories of our holidays overseas. I have a lot more to share including some new vegetable based cookbooks, but will keep that for February, it will give me something to write about. 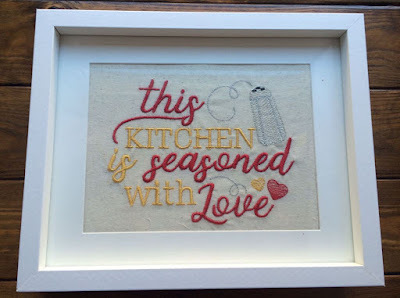 I am sharing this blog post with Sherry Pickings for In My Kitchen series. 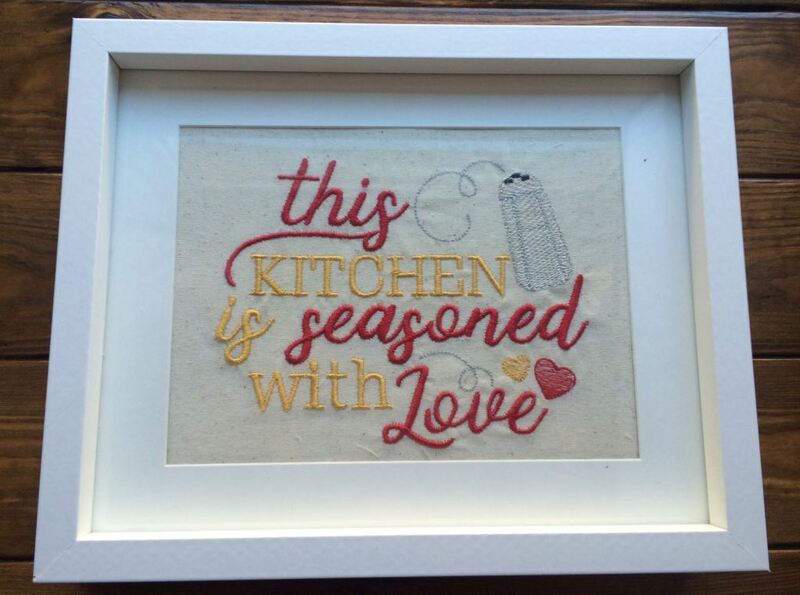 What beautiful embroidery, a very special gift. I am a huge fan of those violet creams, lucky you. It's lucky that chocolate in all its diverse forms is ok for vegetarians! Have a sweet New Year. All of it is lovely and shows a lot of thought for you. I am sorry about D's Dad but every year I get buy a candy of Almond Rocca that my grandfather loved. Wow that is a lot of food to get through. And I am glad you were given so much as you are so generous with your food. Those embroideries are wonderful and Sylvia and I love your gingerbread biscuit barrell. 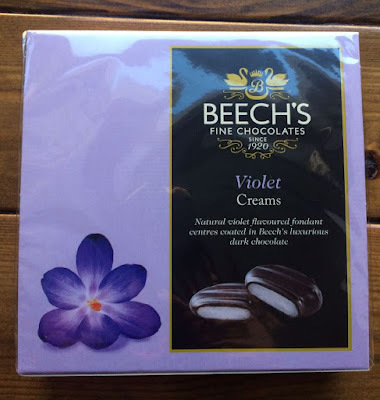 I've never had violet creams but they look interesting. I love some chocolates but in moderation and I would too love that box of crackers - love trying new crackers. 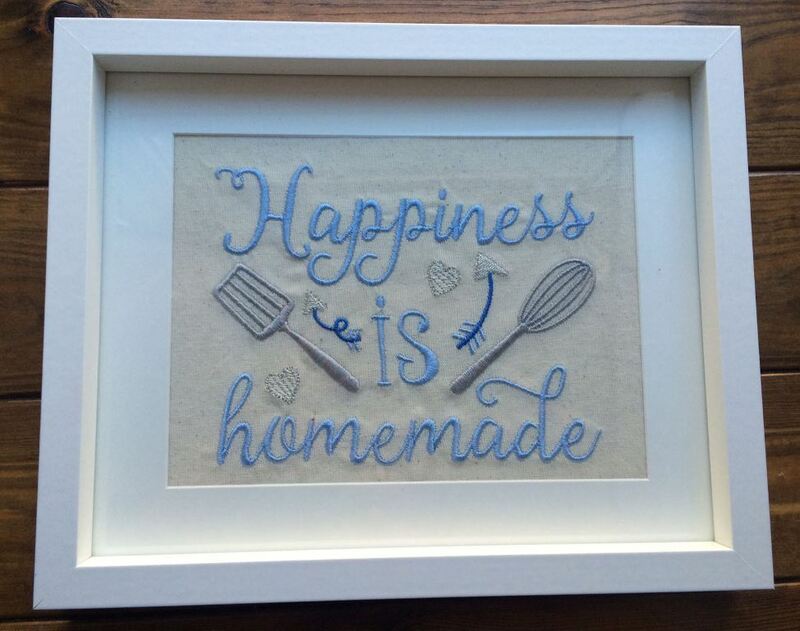 The embroidered wall plaques are beautiful! Bravo to the maker! What a great selection of items! The embroidered wall hangings are wonderful and a touching gift. 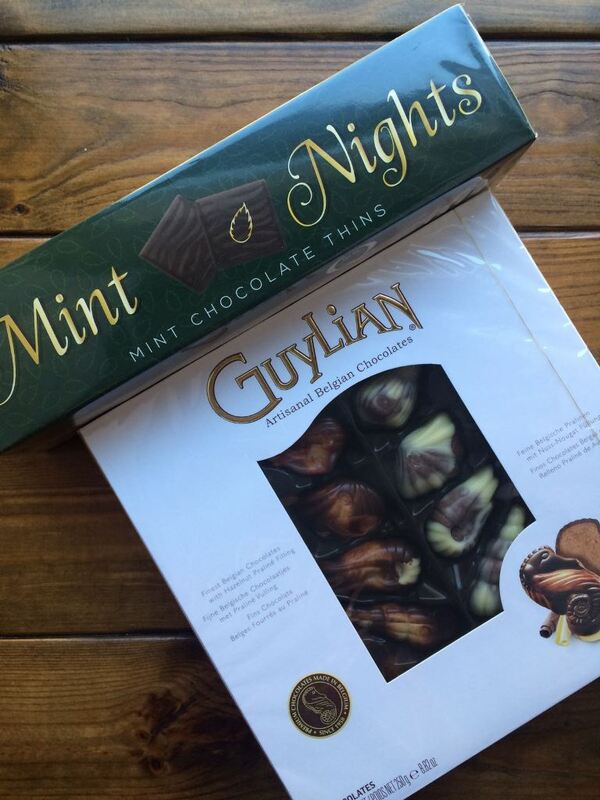 I know you are not a big fan of chocolate so can well believe your stock will last a long time! 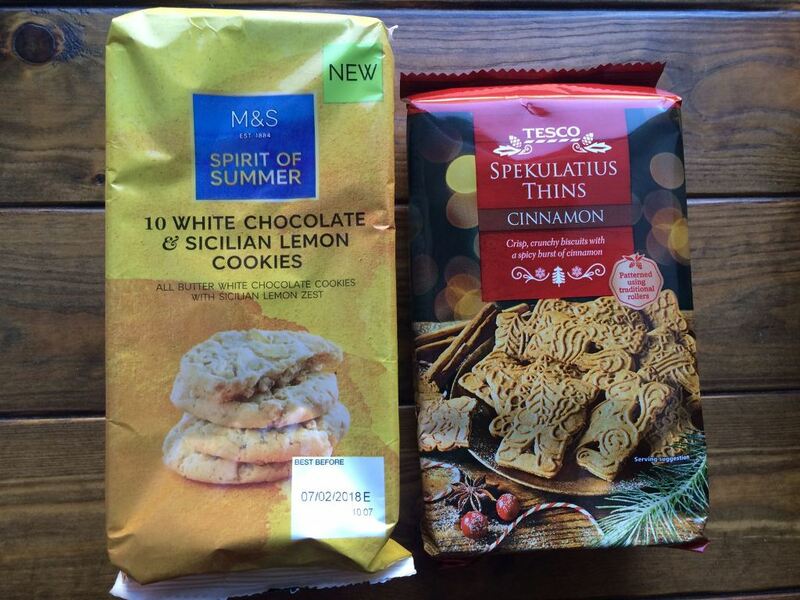 Whilst I am a fan of chocolate, I also love the look of those flavoured crackers. Love the embroidered gifts. Really special keepsakes. Sometimes the most unexpected gifts are the most cherished. My, what a bounty of chocolate and treats. Happy New Year Shaheen! What lovely embroidery, and the gingerbread man cookie jar is adorable! So many delicious holiday foods. You really can't go wrong with chocolates! Lots of yummy biscuits too. Happy New Year! Happy New Year, your chocolate jar is definitely full...good thing that they will last past January for nibbles. My husband always has to have a piece right before bed each night. I have never had a violet cream, shall have to look for them. And those embroidered messages are lovely, what beautiful handwork. Thank you so much Liz. A Happy New Year to you too. I hope you are well.